Powerful, flexible, and inexpensive, EAGLE is the ideal PCB design solution for every Maker/DIYer, startup, hobbyist, or student. Today, all open source Arduino designs are released in EAGLE format: If you want to design cost-effective new PCBs, this is the tool to learn. Matthew Scarpino helps you take full advantage of EAGLE's remarkable capabilities. You won't find any differential equations here: only basic circuit theory and hands-on techniques for designing effective PCBs and getting innovative new gadgets to market. 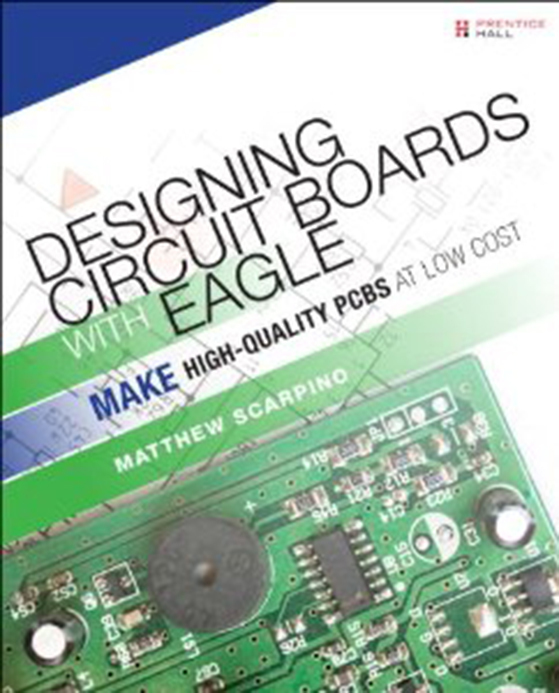 Scarpino starts with an accessible introduction to the fundamentals of PCB design. Next, he walks through the design of basic, intermediate, and complex circuit boards, starting with a simple inverting amplifier and culminating in a six-layer single-board computer with hundreds of components and thousands of routed connections. As the circuits grow more complex, you'll master advanced EAGLE features and discover how to automate crucial design-related tasks. Whatever your previous experience, Scarpino's start-to-finish examples and practical insight can help you create designs of stunning power and efficiency. Matthew Scarpino has a Masters Degree in Electrical Engineering (MSEE) and is an Advanced Certified Interconnect Designer (CID+). He has more than 12 years' experience in hardware/software design, including the design of circuit boards for signal processing and smartphone communication. Currently, he develops software for high-performance embedded systems. His books include OpenCL in Action, Automatic Sketchup, Programming the Cell Processor, and SWT/JFace in Action.